For those of us who have always wanted to make money online, whether full time or in your spare time, there is a new option on the web – Amazon Mechanical Turk . 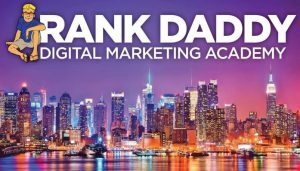 First, Amazon is a highly reputable company, and in a sea of many spammy sites that promise get rich quick schemes, you can indeed rely on Amazon to get paid for your efforts. However, with any online venture, you have to weigh the pros and cons before deciding to join a paying platform. MTurk is Amazon’s site service created so that those who need to work can hire from a pool of human workers for much less than the typical minimum wage. Each task on MTurk is called a Human Intelligent Task (HIT) and involves simple tasks such as clicking links, to complex ones such as designing robust computer programs, apps, and other systems. Mturk gives businesses and developers access to an on-demand, scalable workforce as workers select thousands of tasks and work that match their skill sets. As a Mturk worker, you can work from home, choose your working hours and get paid for doing a good job. Mturk requesters have access to a global, on-demand, 24-7 workforce. You shall have thousands of HITs completed in minutes and only pay when you are satisfied with the results. For those interested in joining Mturk, the site attracts both Pros and Cons. On the good side of the story, setting up an account is very easy. 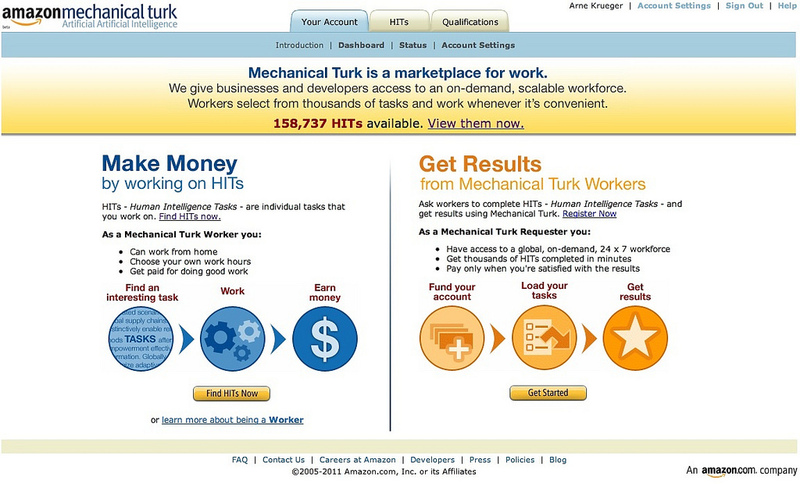 You only need to visit the Amazon Mechanical Turk site and register . The site has high flexibility, and this means you can work from anywhere. There is no limit to work and no lots of skills needed. On the bad side, the pay is not high. There are some questionable opportunities and not bigger room for advancement. Those interested in making the most money on Mturk, here are some tips and tricks for you. Participate in Mturk related forums. Joining and reading these forums provides you with a lot of information, areas and tasks to join and requesters to avoid. Take advantage of Turkopticon Toolbar. – The toolbar lets you view how past Mturk workers have reviewed and evaluated a specific requester. Use the “Sort by” option to find the good paying hits. – The sort by option helps you to save time and quickly look at thousands of Hits available. Finally, link your bank account to Amazon for faster payments. You can either link your bank account to your Amazon account and transfer money to your bank account or convert your earnings to Amazon gift cards and use the cards for shopping. Although there are MTurk alternatives out there, Mturk remains as one of the best platforms to make money, out of many crowdsourcing sites available. You have to be engaged to related forums as this could help you avoid tasks flagged as scams. Task on Mturk command a low pay, and you have to be willing to work for low pay.